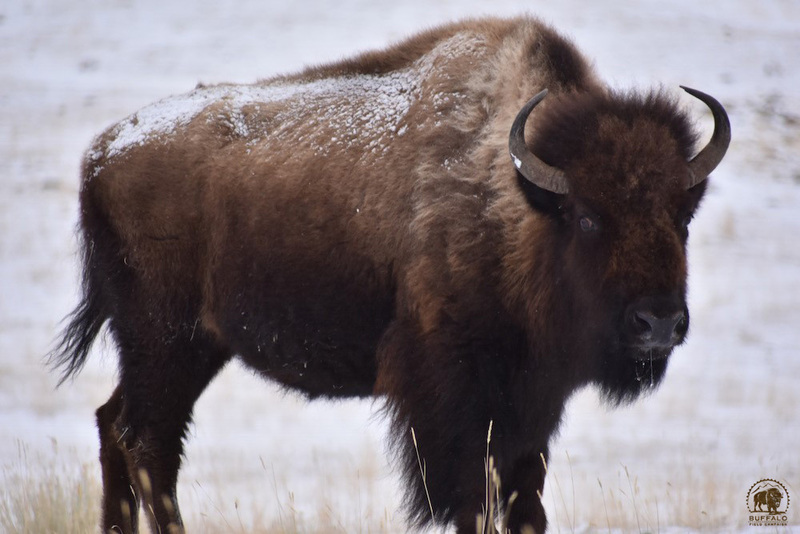 In the last two years, the Interagency Bison Management Plan (IBMP) has killed almost 1,200 bison in 2018, and 1,300 in 2017. That is about a quarter of the entire Yellowstone herd each year. All agencies involved in the slaughter know full well how unique and genetically important these bison are to the world. The impact of these killings of a quarter of all the bison in Yellowstone, two years in a row will only be known by our children. Of the two herds in Yellowstone, the Central herd is now less than 1,000 (down from 3,500 in 2005) and that is a direct result of this management plan. This Central herd gets hit the hardest in the slaughter program when they migrate out to West Yellowstone and are hunted just outside the Park boundary. They also make the long trek to Gardiner following the groomed trails to capture and ship-to-slaughter, as well as being hunted at the Park border. At this time, Yellowstone makes no effort to find out which herd the bison that are killed come from in order to help the Central herd rebound. At the IBMP meetings, Park Service staff always state that hunting should cease on the West side of the Park to help the Central herd. Yet, they fail to teach by example as they send unknown numbers from the Central herd to slaughter each year, taking no responsibility for their actions. The sad thing is, the Park Service and all their scientists know what they are doing is wrong; their actions cause cumulative negative impacts on the long term well-being of these animals. Yet the agencies carry on with business-as-usual, and now 17 years of management have taken its toll on the Central herd. We must remember that Yellowstone is not true bison year-round habitat. It is where the bison hid from humans to survive extinction. The Yellowstone plateau is high elevation land that gets extreme winters. Most animals must migrate out of Yellowstone in the winter to survive. They head to lower elevations where grass is more easily accessible and it is easier to live. The Central herd are the direct descendants of the last survivors of the millions slaughtered and are our last remnant of this country’s truly wild buffalo. The bison that are being killed are the ones leaving the park, fulfilling their ancestral memory, which is being lost with every death. This is mad science and shows no concern for the long-term impacts of the government’s actions on bison. The Buffalo Field Campaign is so concerned that in November of 2014, we filed for an Endangered Species Act listing for the Yellowstone herds. Last year we won our first round in the courts. We hope that gaining ESA status will finally give these mighty sacred creatures the protection they need and deserve. What would Montanans do if this happened to elk? 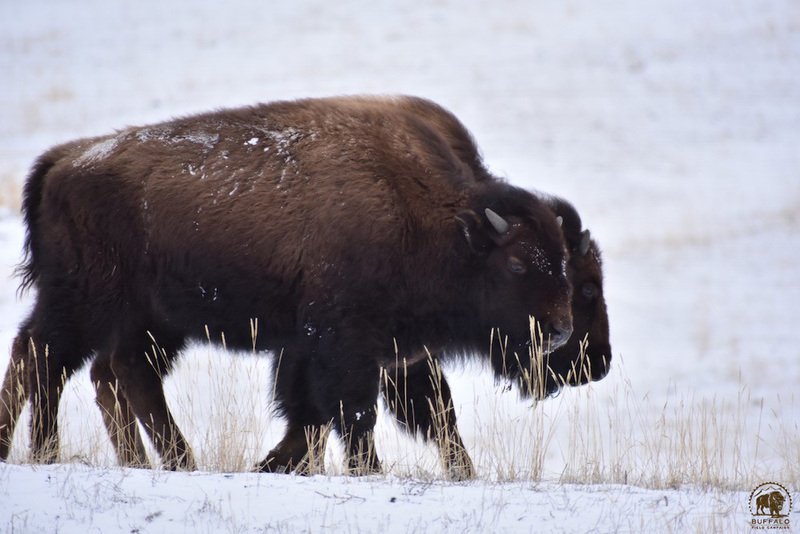 All concern is focused on bison, who have never transmitted the disease brucellosis, yet the elk roam free and continue to be blamed for spreading the disease to cattle out of the Yellowstone ecosystem. This disease was brought here and transmitted to our wildlife by cattle. It is time to do what is right for bison and treat them like we treat all other wildlife in Montana. Millions of acres of habitat have been opened up for elk in what the IBMP calls the brucellosis Designated Surveillance Area. This land is open to elk, why not bison? Currently seven tribes are exercising treaty rights to hunt bison outside of Yellowstone Park. The tribes are cornered into very small areas to hunt. The infamous one is Beattie Gulch and is at best a square mile where the bison first step out of the Park. I have witnessed 40-plus hunters watch 15 bison start to enter the hunt zone, arranging themselves to be able to shoot them when they enter the square mile zone. As the bison walk in, the bullets start to fly. 50-plus shots later, all 15 bison are dead. Hunters with bullets flying over their heads in this war zone run to claim the dead bison. Arguments over who shot what bison and the fact that they are shooting at each other as well have almost turned to fist fights. It is a miracle no human has been shot yet. All agencies involved say how terrible this hunt is, but no change has occurred and things seem to get worse each year. Is this a violation of all the treaty tribes’ right to hunt the bison on land that is unclaimed (unclaimed land is Forest Service and BLM land)? 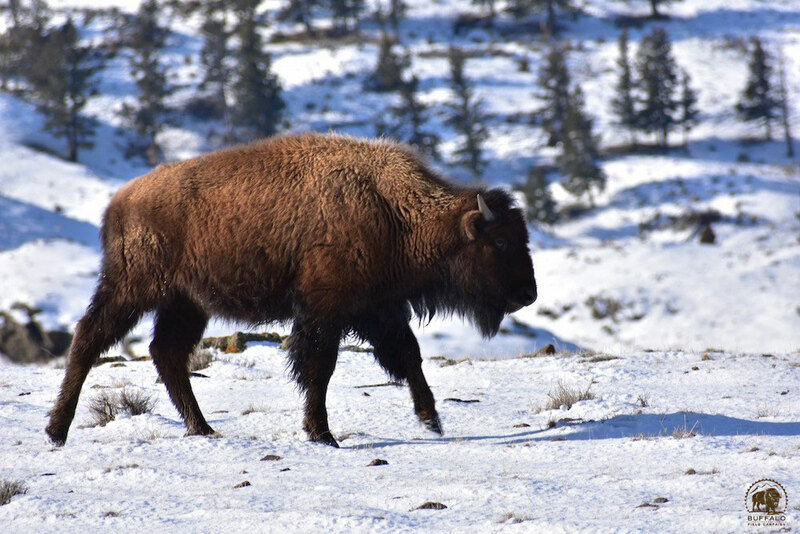 Is it time for the treaty tribes to sue this management plan as a violation of their treaty rights by not allowing bison to migrate to these unclaimed lands? It is time Montana wakes up and stops this insane practice towards bison. The world is watching and is fed up with Montana’s use of federal tax dollars to kill our National mammal, a keystone species and an American icon. WILD IS THE WAY ~ ROAM FREE! !